"MoneyWYN... Helpful money app that analyzes your spending"
"MoneyWYN... 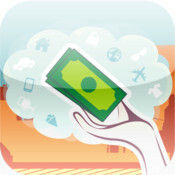 Helpful money app that analyzes your spending, using the Balanced Money Formula." All Your Worth: The Ultimate Lifetime Money Plan by Elizabeth Warren and Amelia Warren Tyagi. In the book, the authors break down spending into three primary categories: Needs, Wants, and Savings. Each category has a specified target percentage of your earnings that should be going to it, helping to keep your spending in balance: 50% for Needs, 30% for Wants, and 20% for Savings. If you�re in balance, you are within the percentages and are likely on your way to building wealth for yourself and your family because you are living within your needs.